With herbicide applications winding down, this is a good time to scan fields for suspicious weeds that escaped the management effort. 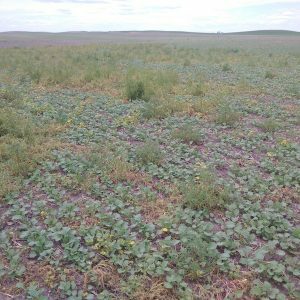 The photo from Tammy Jones shows glyphosate-resistant kochia. Too windy. Too wet. Sometimes both. This pushed back a lot of weed management and some fields are still not sprayed. In this situation, intense weed pressure can reduce yields by 20%, 30%, 50%… That’s why early weed control has a huge positive effect on profitability, but late control is better than nothing. Late control can stop the yield loss, stop weeds from contributing substantially to the weed seed bank, and improve crop harvestability. Is a second in-crop herbicide application necessary? One of our Alberta agronomy specialists encountered the situation in the photo. Canola emergence was patchy in this small area, but generally good overall. The bigger issue was the big population of tiny weeds. The agronomy specialist wondered if these buckwheat seedlings, though very abundant, were too small to spray? The answer is no. 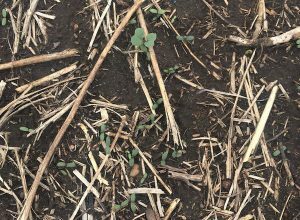 A Canola Watch reader sent us this question: I have wild buckwheat at the 3- to 4-leaf stage that somehow got missed with the first application of Liberty 10 days ago . It’s moderate in severity. Will it cause me grief at swath timing? And or will it have any effect on yield? Crop stage is 6-leaf or so. 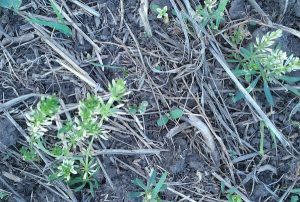 For in-crop management of cleavers in canola, both glyphosate and glufosinate work best on smaller spring-germinating plants. Early herbicide application is also best for crop yield. Use a rate and water volume suitable for cleavers. The Canola Council of Canada agronomy team looked at this photo above and discussed whether the field should be sprayed now or in a few days after more weeds have emerged. Consensus was that the field could have been sprayed a few days earlier. 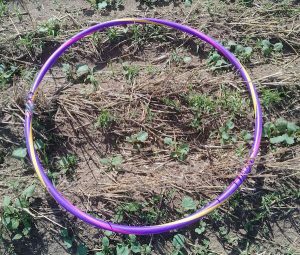 Angela Brackenreed, who scouted the field, says the weeds just became visible in the past three days, so the crop is actually well ahead of them. She confirmed that the grower plans to spray today as long as conditions allow. 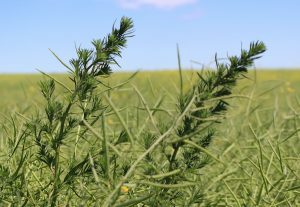 Early weeds have large impact on canola yield potential. Research has shown a yield advantage of 3 bu./ac. 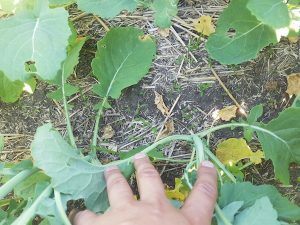 when weeds are removed at the 1- to 2-leaf stage of canola instead of waiting until the 3- to 4-leaf stage. That advantage rises to 7 bu./ac. when comparing weed control at the 1- to 2-leaf stage versus the 6- to 7-leaf stage. A key part of the Keep It Clean program is to follow label rates and timing for all crop protection products. Here are specifics for each herbicide-tolerant system.